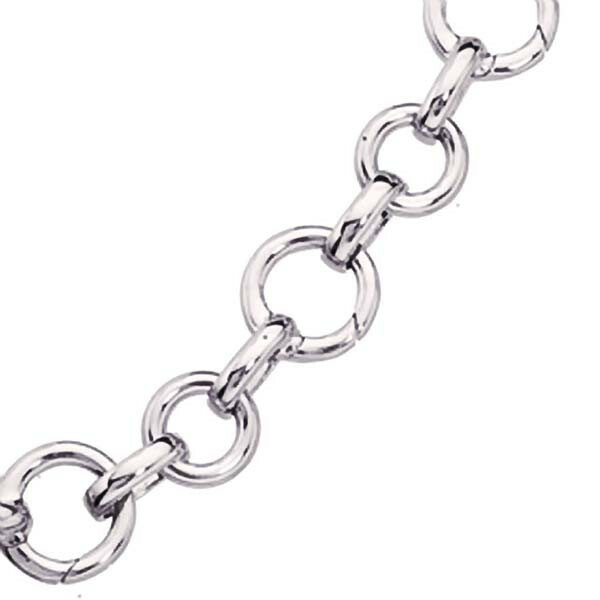 For an elegant touch on the wrist, this Aaron Basha small circle link bracelet is absolutely perfect. Lush 18kt white gold is crafted into two different sized circles. As these circles form an alternating pattern, the smaller links hold the larger circles in place. You can dress this bracelet up with a fabulous assortment of Aaron Basha charms.